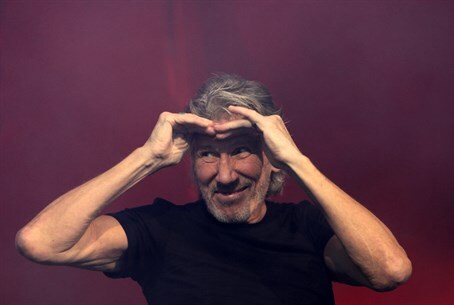 Anti-Israel musician Roger Waters, formerly of Pink Floyd, has failed again in trying to get a major internationally renowned musician to boycott Israel in the Boycott, Divestment and Sanctions (BDS) movement. Waters wrote on his Facebook page this Saturday that he tried to get rock legend Alan Parsons to boycott Israel and cancel the concert of his Alan Parsons Project in Tel Aviv planned for this Tuesday, as reported by Showbiz411. In the posted letter he sent to Parsons, Waters included the picture of a family claimed to have been killed in Gaza by an IAF airstrike during Hamas's latest terror war last summer. In doing so he removed the context of Hamas cynically using civilian infrastructure to embed its incessant terrorist attacks on Israeli civilians, as well as the frequent duplicity of presenting terrorist members as civilians. Waters said he wrote the letter a few weeks ago, in which he told Parsons that musician Elvis Costello and scientist Stephen Hawking were members of BDS, which he called "a means of resisting nonviolently against colonization, discrimination, and ongoing dispossession." Parsons responded to the letter but asked for Waters not to publish the reply, a request Waters respected and went on to write another letter reiterating the same points. Undeterred by his brush with the anti-Israel musician, Parsons on Sunday wrote on his Facebook page "Very happy to be in Tel Aviv!" Parsons' post included a link to a blog on the Israellycool website reporting on Waters' failed attempt. The blog speculated "while Waters did not publish Alan’s response, one can deduce that he told Waters to stick his BDS where the sun don’t shine (the dark side of the moon, if you will)." Before establishing his Alan Parsons Project in 1975, which has enjoyed seven top 40 albums, Parsons gained international fame for sound engineering on albums including "Abbey Road" and "Dark Side of the Moon," leading to the blog's quip.